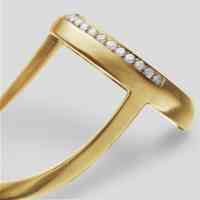 Exclusively designed by Räthel & Wolf for Banneya London this fine jewellery pavé distal ring is a revolution in finger ornaments! 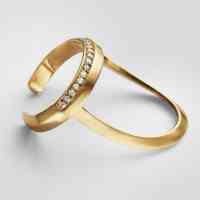 Wear this simple pavé as unique ring on your pinky or cover all your fingers tips whatever tickles your fancy! Personalise your own Distal ring to suit your style. Choose from 18 carat white, rose, yellow or black gold, and a range of stones including black diamond, sapphire and emerald for a more unique piece of jewellery.